Citizens and policymakers in many countries have never been more committed to combating climate change across all sectors. One high-emitting sector that is often overlooked, when compared to industry and manufacturing, is transportation. Transport currently contributes 23% of energy-related greenhouse gas emissions and 20% of energy use. Globally, the sector is expected to double by 2030, according to IEA. Decarbonizing transport is a major challenge with some strong and powerful advocates calling for a single one-shot solution (electrification). However, achieving decarbonization in the transport sector will require multiple strategies that understand fossil fuel demand will remain in place for some time. In response, industry groups have looked to low carbon fuels and vehicles (LCFV) initiatives as a potential decarbonization strategy. LCFVs are designed to mitigate greenhouse gas emissions contributing to climate change by reducing conventional fossil fuel demand in transportation. Policymakers are beginning to implement these initiatives under an array of climate policies and renewable standards, requiring biofuels blending, electrification, other alternative fuels and tough fuel efficiency standards, among other measures. But, are policymakers doing enough to diversify fuels, improve efficiency and reduce emissions in the transport sector? Currently, transportation emissions mitigation is largely overshadowed by mitigation of coal-fired power plants, but the consequences of the growing transport sector are just as, if not more immediate. 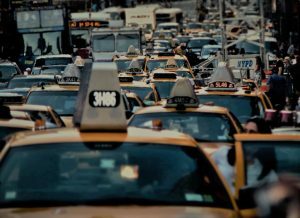 The global car fleet is expected to double in the next 20-25 years, and with oil prices so low, people are driving more than ever, particularly in the U.S. The march toward a global carbon-smart economy is going to continue, although how it will evolve in the U.S. is yet to be determined. Biofuels, zero emission vehicles, oil demand and air pollution mitigation all are part of the climate change policy mix, and how best to balance these various pieces will be critical for federal and state policymakers. 1. Are current climate change efforts adequately addressing the impact from the transportation sector, compared to other factors such as coal? 2. What measures should policymakers take with respect to reducing the climate change effects coming from the transportation sector? The problem is not the fuels but where they come from. Synthetic fuels can eliminate up to 95% of pollutants from Internal Combustion Engines of all types. That synthetic fuels can also be green and renewable is something of note. The problem is and always has been that Synthetic Fuel production is an energy loser. I do not know of a way to change that. I do know of a method of using some specialized tricks that involve the electrical grids of the world to make Synthetic Fuel production economic. The explanation is far more involved that I can state here. But in combination with a base load renewable energy systems you can lower the cost of both electrical power and of synthetic fuels to make them competitive. Contact me directly if you wish to know more. Remember it is the source of the fuel not the fuel itself that is the problem. The author highlights that transportation may be a more challenging sector to decarbonize than electricity. While market forces are pushing coal from the grid, stronger policies will be needed to accelerate the shift to highly efficient or zero-emitting vehicles as oil prices remain low. In the U.S., there is a real risk that scheduled improvements in fuel economy standards will be slowed or weakened. Elsewhere, policies to promote or mandate electric vehicles can spur technological innovation and enable the economies of scale that will bring down costs. Daniel you are making the most common of mistakes. It is not the engine but where the fuel comes from. A clean synthetic fuel will get it’s carbon from the atmosphere. At worst the technology I am suggesting would be carbon neutral but would also almost totally remove all other particulate emissions from the exhaust pipes. That this technology would also supply electricity and hydrogen is the critical advantage for you would be using your energy generation capital at it’s highest rate possible. A rate over double what is the average now and thus from simple economics of scale lowering both the cost of electricity but making the synthetic fuel economically a viable choice. I think it will require multiple solutions that include ZEVs, tighter fuel economy standards and advanced alternative fuels among others. And this seems to be the way policymakers in many countries are moving. I don’t see EVs as a panacea (nor am I suggesting that that is what you’re saying! ), but I think they will be part of the solution. I think there is going to be a big push to “de-car”; that is, in major urban areas there will be more and more a push to limit personal transport. There are already movements afoot globally in this regard and part of this is for GHG emission mitigation but also for air pollution mitigation. Fully agree with you, Tammy, both about the need for multiple solutions and the likelihood of a push to “de-car” in urban areas. I think, though, that the latter won’t be only or even primarily a push to limit personal transportation — presumably by shifting toward more and better mass transit. That will happen, but I expect also to see a move toward smaller and more efficient personal EVs. The shift will be facilitated by smart vehicles and inter-vehicle communication nets that eliminate nearly all serious accidents. It will make urban roads safe for small vehicles. Some of those will be autonomous single-passenger taxis. The narrative and comments are predicated on CO2 being a serious problem. That is a hypothesis that is yet to be proved beyond climate models. CO2 is a greenhouse gas and therefore contributes to warming but the effect of increases are not linear, as implied by climate advocates. The lower climate sensitivity that is even acknowledged by the IPCC suggests that the warming from additional increments of CO2 are diminishing. Second, the world has been decarbonizing for well over a century and will continue to do so as a result of advances in technology. Interested people should read the work of Jesse Ausubel of Rockefeller University. If technology, not subsidies, brings to market alternatives to the internal combustion engine the decline in carbon will be cost-effective and not the result of the heavy hand of government. While almost three decades is not long in terms of climate history, the catastrophes that were predicted to have already occurred have not. A better job needs to done in accurately defining the real climate problem rather than starting with the solution and then justifying it. Bill: I’m not sure what alternative universe you are referring to. The entire scientific community, including every major scientific academy in the world, says that global warming is real, is mostly caused by humans, and requires urgent action to reduce greenhouse gas emissions. I’m not sure why you say “climate advocates” say the effect of emissions is “linear”. Who says that? However, they are cumulative and extremely long lasting (thousands of years). There is a range of climate sensitivities, as there are for all measured natural phenomenon, but the mid-range value of ~3ºC is still holding, though there is recent research that suggests it is higher in a warmer world than it is in a cooler world. The world certainly has not been decarbonizing. Emissions have been growing for decades and the CO2 concentration in the atmosphere (the thing that matters) has been accelerating recently (increasing more than 3 ppm per year). Waiting for technology to solve the problem while maintaining policies that allow companies to pollute the atmosphere for free will certainly doom our children. Why would you advocate that? Of course, arguing that future climate catastrophes won’t happen because they haven’t happened yet makes no sense at all. It was that type of thinking that doomed the Space Shuttle Challenger and it will doom us all if we keep thinking that way. Nothing in my comments suggest that global warming and climate change are not real or that humans have no impact. The mostly from humans aspect comes from the models which have never been validated and continue to overstate the warming that has been taking place since the late 80s. You must realize that there are incentives for those who subscribe to the climate orthodoxy to maintain their position. While the IPCC have maintained its mid-range value, it has lowered it lower value. We have empirical evidence, albeit for a relatively short period, that climate sensitivity is less than embodied by the climate models. I’ll stick with the empirical evidence. Your statement about the world not decarbonizing shows that you have not read Ausubel’s work and looked at the EIA data on carbon intensity per unit of GDP or energy consumed. The world will not soon reduce its carbon use or intensity as long as over 1.3 billion people suffer from energy poverty, as long as poor nations seek a higher standard of living, and as long as alternatives are not cost competitive. Finally, why do say that I advocate policies that I don’t. The meme that companies pollute for free is utter nonsense and either you know it and choose to ignore it for debating points or you are not aware of the cost of regulations that are already in place and are a de facto carbon tax. I am willing to have an informed discussion based on facts and analysis but not willing to engage in rhetorical , sound bite exchanges. No one wants to doom our children and alleging that I do makes my point and is just an attempted cheap shot. Mr. O’Keefe the largest solar collectors in the world work on a 24/7/52 basis with an almost totally consistent supply of energy to be extracted. The problem is that the traditional four of Solar, Wind, Wave and Tidal are far more visible. They all have exactly the same problem in that they all have the same highest cost. That cost being the variability of supply. That means to work properly within the world existing energy grids the costs of storage and demand control as well as parallel systems needs to be added. That is very seldom done. The technology to extract from this source is highly localized. To my knowledge only 4 countries have the ability to do this, ourselves, England, South Korea and Japan. I am completely certain about England but less so about South Korea and Japan. The source I refer to is world wide and can fulfill the needs of most of the worlds poor countries without needing any carbon input. It has the parallel ability to make serious reductions in our balance of payments in the world and will savage the economies of many of those that would do us harm. The critical problem is these are sources that you can feel but only under the right conditions. You can look at them and never see them. They are not high speed like rushing rivers but rivers they are. The British Royal Society posted a white paper that stated if you could extract just 1/10,000 of 1% of the energy that strikes the world oceans (Those big solar collectors) you could replace every other form of energy used by man 7 times over. NO pollution, no carbon input, steady supplies that can be both base load and dispatchable just like carbon but instead of having to keep to the supply / demand curve because you have NO fuel cost you can use any extra energy to generate hydrogen and from there carbon neutral liquid hydrocarbon. Then let the market place sort out the winners. I personally do not care but I am a bit of a petrol head. I just want the funding to patent and bring the necessary technology to market. We call these sources ocean currents if you have not yet figured that out. They have different rules but the amount of energy within them is staggering. Bill: I’m sorry if I misunderstood your comments. I thought you were claiming that climate scientists have overstated the level and probability of future warming by saying their models were wrong and that climate sensitivity is on the low-end of published ranges. Because such comments could be construed as sowing doubt about the urgent need to dramatically lower greenhouse gas emissions — something that virtually the entire climate science community agrees on. I also thought you were trying to say things are going in the right direction by claiming the world is decarbonizing even though carbon emissions are at a record high and atmospheric CO2 is increasing at a record rate. One might think that focusing on a per-GDP unit of carbon emissions (like the Chinese used to do) would be seen as a deceptive tactic since the Earth and climate change don’t care about such measures. And while one can argue that current pollution regulations, such as they are, are a form of carbon tax, to analyze the situation properly would require one to also take into account the multitude of direct and indirect subsidies that fossil fuel companies are granted. I believe that a proper analysis would show that fossil fuel companies are actually encouraged to pollute the atmosphere. So I’m sorry if I misunderstood your posts. To be clear, I advocate for a Fee and Dividend carbon tax where all the money collected is returned to the public on an equal basis. Studies show this would cut emissions in half while creating millions of jobs and growing GDP by $1.4 trillion. What are you advocating? A little sarcasm doesn’t help your argument. Let’s leave it that you and I see the world differently, especially the view that science is determined by votes not experiments. Galileo would not be amused. Bill: All sarcasm aside, this is not just a case of seeing the world differently. As was the case with Galileo, Jupiter really does have moons orbiting it and the ideology of the church did not change that reality. But, in any case, climate scientists don’t solely rely on climate models to understand what is happening and what will happen with climate change. They use a plethora of techniques, including looking at past climates, making laboratory measurements of greenhouse gases (first done in 1859), and simply gathering temperature records. As you know, 2015 was a record warm year, with a global average temperature of +1ºC above the late 1800’s average. 2016 is set to be +1.2ºC warmer than pre-industrial times. You don’t need a climate model to tell you that those temperatures are quite worrying, especially when you examine the temperature trend since the 1970’s (again, no model needed). And, again, I take exception to your call not to move ahead with climate solutions until a “better job [is] to done in accurately defining the real climate problem.” While this sounds reasonable if you don’t think about it much, it is actually a dangerous train of thought and you would never argue that way about a threat to your children. For example, let’s say you’re about to send your children on an airplane trip. Before they leave, the mechanic comes out and says their may be a problem with the engine — he’s not sure — but he thinks the oil seals may have been installed incorrectly. Several other mechanics agree. But the flight attendant and the person loading the snacks say that they think everything is OK. The only way to check the engine is at the destination airport. You need to decide now whether to let your children take the flight. Keep in mind that this plane has not crashed before and there is no certainty that the oil seals were installed incorrectly… maybe the probability of catastrophe is less than 50% (even though with climate change it’s greater than 90%). But if it was only 10% — even 5% — you would never put your children on that flight. Why then do you propose that we don’t implement climate solutions now? All our children are on the flight. The probabilities are not in their favor. We can even see oil leaking from the engine. It’s time to put ideology aside and listen to what the scientists are telling us. Are the current climate change efforts adequate for addressing transportation? Absolutely not!! Those who enthusiastically support EVs while complaining that an ethanol blend fuel kills their lawn equipment need to seriously reassess their priorities. I have owned nothing but electric lawn equipment for 40 years and fully support higher ethanol blends and DME, a diesel substitute. The first policy measure needs to be a re-evaluation of alternative fuels and their costs not only for fuel, but also distribution and retailing costs, initial vehicle costs, maintenance costs and the potential sources for their production. Big Oil will tacitly support hydrogen, CNG and EVs because they know their short-comings. Gasoline is a poor fuel partly because of its octane limits but diesel is a bit better. Both, however, have significant health issues that EPA will not address. Both produce ultra fine particulates that are <.01 microns in size that some think are a greater health hazard than lead. Both gasoline and diesel produce cyclical hydrocarbons known to be carcinogenic. An ‘advanced biofuel’, when it is a ‘drop-in for gasoline or diesel, will have the same health hazards. A ‘GIN’ (Greenhouse Intensity Number) could be added, but I think renewable fuels will be cost competitive with petroleum fuels IF free to enter the market. We need ‘Good Fuels’ not just renewable copy-cats of petroleum. Fuel cells could use either ethanol or DME when an electric drive train is desired. Specifying a GOOD FUEL will improve our health while allowing renewable fuels to compete with oil and increase mileage standards. Fortunately DOE has done a little bit to support these fuels and their time is ready. This is where policy should head. Perhaps our approach to EVs needs a new paradigm. In the electric power industry high costs for electricity occur because we have built electric power systems that are designed to meet peak loads, which only happen a small percentage of the time. The rest of the time the peaker plants sit idle at considerable expense. The present EV model resembles this situation. Based on Department of Transportation statistics 99.2 percent of our trips are under 100 miles and these shorter trips consume 82.9% of the gasoline we use. However, drivers have “range anxiety” so car companies are pursuing EVs that can go well beyond 100 miles between recharges. Suppose there was an electric car that could go 200 miles using batteries only. This means that we would have to buy an electric battery twice as expensive as a 100 mile battery to be used less than one percent of the time. This larger battery weighs twice as much, as does the support structures that hold the battery, and it takes up twice the volume of the 100 mile battery. A 300 mile range EV has even poorer battery utilization characteristics and would have battery costs at least triple the 100 mile version. Such high purchase costs inhibit the growth of EVs thereby prolonging the GHG contribution from transportation. Why not have, in the near term, a ” City” car with a 100 mile range battery. Using clean electric vehicles in our cities would produce a great health benefit. What about those longer trips that exceed 100 miles? There are several possibilities, none of which require long recharging times during the trip itself. First, we could have a rental approach, not unlike Uber. Car manufacturers could rent out vehicles with much larger batteries for those 1% of the trips greater than 100 miles. Another approach would be similar to an upgraded Chevy Volt hybrid which would combine EV battery power with some gasoline to give one significant range. On the road only the gas tank would be refilled if greater distance is required, while recharging would take place at night while the car is parked, like at a motel with a recharging capability. In the long term we would want to phase out the gasoline in such vehicles. The navy has investigated converting the rather concentrated carbon dioxide in upper surface levels of seawater into methanol. Such methanol could be further modified to produce a synthetic high density liquid fuel like butanol. Off shore wind turbines and/or floating nuclear power plants could supply the energy to make the methanol. For renewable energy this could be a very attractive new use for wind power. Making methanol from seawater, where both the carbon dioxide and the water are readily available, avoids issues of trying to match electricity demand and supply.. just make methanol when the wind blows. The best feature of this return to the ocean for high energy density liquid fuels is that it would produce no net greenhouse gases. When the methanol or butanol is burned on those longer car trips and carbon dioxide is produced, much of this GHG would be returned to the ocean by ongoing wind currents, matching the carbon dioxide initially depleted from the sea water to make methanol. Today we use fossil fuels in a once through process which ends up with GHG in the atmosphere and in the oceans. This approach recycles the carbon dioxide for no net CO2 added to the environment. This approach to making high energy density liquid fuels is likely to be rather expensive. However, remember that only 17.1 % of our automobile fuel consumption is for trips greater than 100 miles. Additionally, we could use existing infrastructure, like present gas stations, to supply the methanol or butanol that this sea water process would produce. Bill: One can make methanol in a variety of ways, such as from natural gas. If the incoming administration wants to give a bone to the coal industry it might consider using coal to make methanol, at least as a transitional fuel, until a system is established that recycles the GHG burning methanol would produce, such as the sea water closed cycle that I have discussed. A pioneer of modern EV technology was AC Propulsion. For their prototype “T-Zero” sports car, the solution to the range problem was a custom “range extender” trailer. It hugged the rear bumper and acted as an extension of the car. It housed a fuel tank and generator, and plugged into the car’s charging port. It was a neat solution for long trips, making the car a “convertible hybrid”. Unfortunately, it wouldn’t be street legal for a production vehicle. Federal(?) regulations make it illegal to carry fuel and a running engine in a trailer. An alternative for long trips might be a “mobile charging bus”. Pull off the freeway into a truck stop where a special bus is waiting. The bus trails a combination towing tether and vehicle charging cable. Eight other EVs are already lined up and waiting, like a string of ducklings behind their mother. An attendant connects your car, and you and your passengers transfer to the bus. The bus has comfortable seating for 20 passengers, with food service and restrooms. For the next 30 miles on the interstate, you and your passengers ride in comfort or nap aboard the bus, while your EV follows behind in slave mode. The bus controls acceleration, braking, and steering of the bumper-to-bumper string of cars behind it, maintaining low tension on the towing and charging cable. When the convoy arrives at the next truck stop or rest area, everyone transfers back to their now fully charged vehicles to continue their trips. If you still have a long way to go, you first use a smartphone app to schedule your next charging leg. The app transfers rendezvous data to you car’s navigation system, so you won’t have to wait long after arriving for the next convoy to depart. It could happen. It would be a safe, comfortable, and efficient way to travel long distance by EV without being loaded down with oversized batteries. Certainly low carbon or other alternate liquid fuels could contribute a huge amount to the security of the OECD vis-a-vis the Middle East. In 2009, Senator Specter asked me to draft a short but effective bill (vetted by Senate General Counsel, and now posted at http://www.werbos.com/oil.htm now that Specter will not be able to follow up), which would have strongly and rationally have improved our situation with alternate liquid fuels in general, benefitting BOTH the environment and the US refining and distribution industries substantially. IEEE put in a major effort recently to develop an updated, technically solid position on this issue (also reposted at my site, but can be found at http://www.ieeeusa.org). But do we have a problem in US politics with folks overly dependent on the big oil exporters? Will Trump, like “W” Bush, listen to well-motivated folks like Woolsey/Mattis, as W did in formulating RFS — a well-motivated effort but a factor of ten below what we could and should have done because good intentions do not live up to the technical realities here? I sure wish at least someone could at least introduce (and maybe update a little) the Specter 2009 bill, as valid now as it ever was.